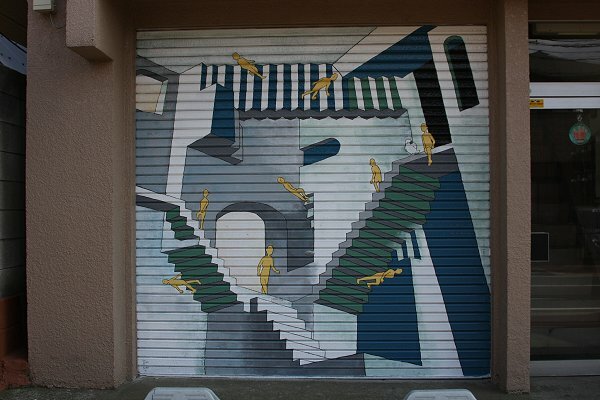 Below, there are two photos of garage door of bonesetter in Chiba (Japan). 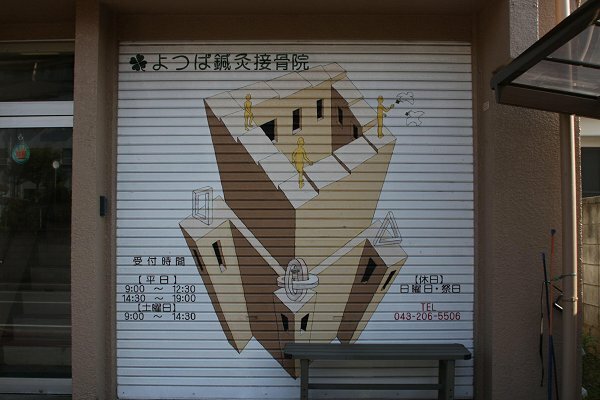 The first image is a combination of endless staircase from Escher's artwork "Ascending and descending" and another Escher's artwork "Tower of Babel". The second is a variation of Escher's "Relativity". Images are published here thanks to Nikita (Malfet_).